We are so excited to announce that we will be carrying another licensed brand of paint in the shop. 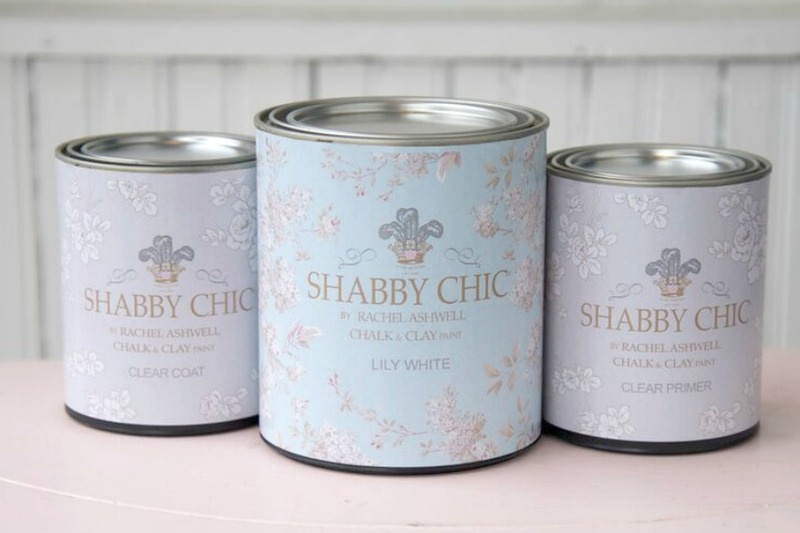 Coming next week will be SHABBY CHIC® by Rachel Ashwell chalk and clay paint! This paint is the same paint formula that we now carry in the Junk Gypsy brand, but with 10 new beautiful SHABBY CHIC® signature colors. The paint is amazing to work with and will be featured in our upcoming paint classes, along with Junk Gypsy™ Paint. As many of you know, we are also the national distributors for both SHABBY CHIC® Paint and Junk Gypsy™ Paint. With amazing and inspiring women behind both licensed brands, we feel so blessed to be able to bring this wonderful paint to market. For 25 years, the name Rachel Ashwell has been synonymous with SHABBY CHIC®. The SHABBY CHIC® brand, based on the aesthetics of beauty, comfort, and function, marries great design with casual ease. British-born Rachel Ashwell is a self-made business woman who founded the iconic brand known as SHABBY CHIC® in 1989 when, as a single mother of two young children, she looked to open a small shop where she could sell pretty things without spending much time or distance away from her children. Read more about Rachel here. You can also visit the official Shabby Chic® website here to learn more about her brand and style. 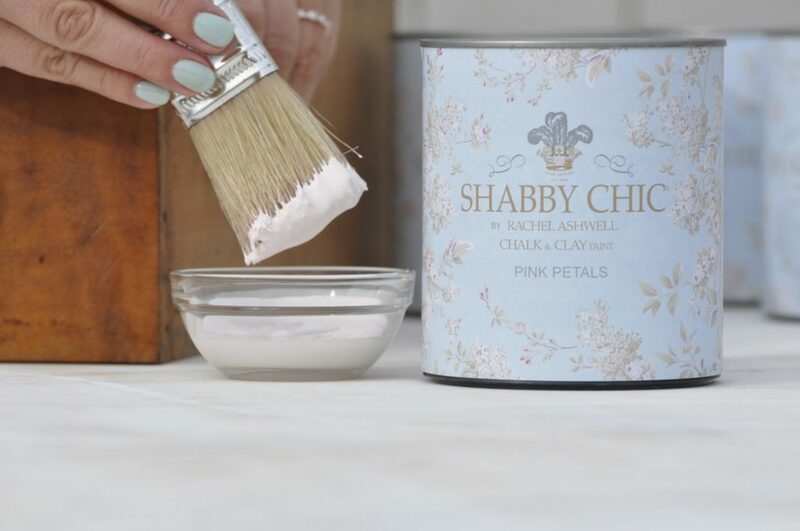 If you’d like to follow SHABBY CHIC® Paint on Facebook click here. Would like to get samples of the Shabby Chic paint. Do u sell small samples? We expect samples to be available by the 1st of the year. I’m very interested in samples also. Would you be able to guide me to co-ordination fabrics? 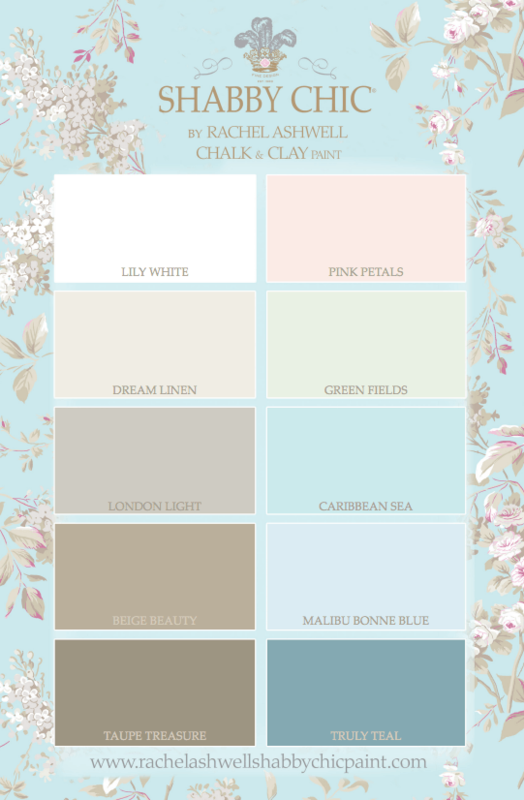 Can you buy Shabby Chic paint in Canada and if so where? Or do you ship to Canada? Yes, we can ship to Canada. The rates are not entered into our cart however. To place an order, you can call us at (517) 996-6201 and let us know that you would like to place a retail order for shipment into Canada! Yes Kim! The samples are now available! Do you have a color card you can mail me? 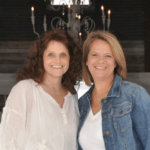 Yvonne, If you would like a color chart for Shabby Chic Paint, please call our warehouse during business hours at (517) 996-6200 to provide us with your address. Can you ship Shabby Chic paint to Denmark? Unfortunately, Shabby Chic chalk and clay paint is only available currently in North America. Where do I purchase your paint? Are samples available? Do you have a price list? Donna, You can purchase 8 ounce sample sizes at $13.95 each from a retailer near you, or call us at (517) 325-1147 and let us know you are a customer who is interested in placing an order and we can take that over the phone! Would this paint hold up well for kitchen cabinets?..is there a clear top coat that would protect it better?